Carlsbad | North County San Diego Area Real Estate :: eXp Realty of California Inc.
Carlsbad is home to some of the most coveted zip codes in North County San Diego. With seven miles of coastline and several well-known tourist spots, including: two State Beaches, Legoland, The Carlsbad Flower Fields and Omni La Costa Resort and Spa, Carlsbad has a reputation for affluence and resort style living. 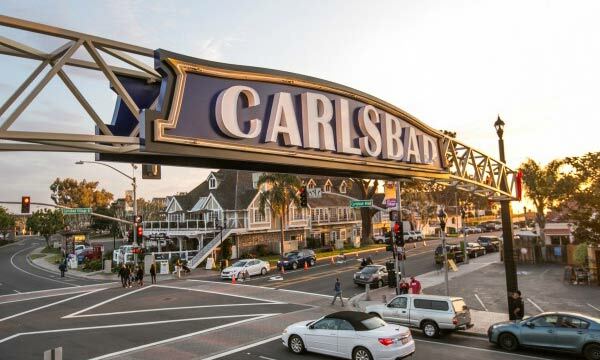 Located just 87 miles south of Los Angeles and 35-miles north of downtown San Diego, Carlsbad is a popular destination spot in North County because of its state beaches and amazing climate. It is also home to just over 110,000 residents. Of course, being a tourist and being a resident are two different experiences. There are a lot of tourist spots that are great to visit, but you wouldn’t want to live there. This is certainly NOT the case in Carlsbad. The City of Carlsbad has so much to offer residents, from amazing schools to beautiful parks and engaging community events. Did you know that the top 25 employers in San Diego County are closer to the city of Carlsbad than San Diego proper? That means less time commuting and more time on the beach! Several well-known companies from biotech to sports and fitness have established their corporate headquarters in Carlsbad, including: Callaway Golf Company, Jazzercise, Jenny Craig, Inc., Life Technologies, TaylorMade-adidas Golf Company, Upper Deck and ViaSat, Inc.
Carlsbad also has a small public airport called McClellan€“Palomar Airport (Palomar Airport) that offers commercial flights to and from Los Angeles International Airport, executive/private jet and general aviation services. There are also two stops within Carlsbad for the Coaster train, which runs along the coast daily from Oceanside to downtown San Diego. 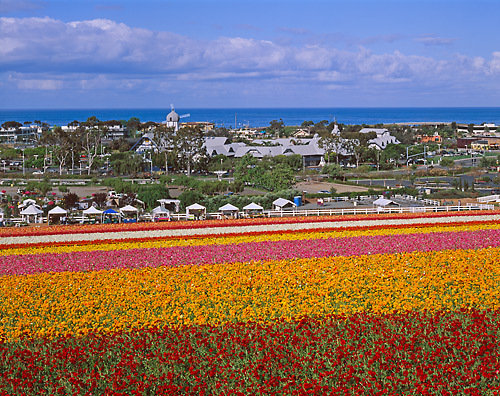 Carlsbad has four distinct quadrants, each with its own zip code. The northwest quadrant (92008) is “Old Carlsbad”. This is where you find homes ranging from cottages and bungalows around the downtown “Village” to beautiful mansions overlooking the ocean. The “Village” offers plenty of shopping, dining and walkability, as well as long stretches of beach that everyone can enjoy. The northeast area (92010) is mostly single-family homes with larger lots among the rolling hills just east of the coast. And, to the south of this area (92009), you’ll discover several newer master-planned communities, new shopping centers and the area known as La Costa. The southwest quadrant (92011) extends out to the Pacific Ocean to the south and includes the Aviara neighborhood. This area is also home to the Park Hyatt Aviara Resort & Golf Club. Residents in the City of Carlsbad are served by a total of four school districts, as well as a number of private schools. Public school districts include: Carlsbad Unified School District, Encinitas Union School District, San Dieguito Union High School District and San Marcos Unified School District. Carlsbad Unified School District is made up of nine elementary schools that feed into three middle schools and then two high schools. Both the eastern and southern edges of Carlsbad are served by neighboring districts in San Marcos and Encinitas. In addition, the area’s largest universities are nearby, including: California State University, San Marcos, San Diego State University, University of California, San Diego, and the University of San Diego. Carlsbad offers rolling hills, miles of walking trails, lagoons, sandy beaches, golf courses and plenty of open spaces for residents to enjoy and showcase to visitors throughout the year. There are 27 parks in the City of Carlsbad, including skate parks, sports parks, historic parks, neighborhood parks and dog parks. The City of Carlsbad is recognized as having some of the highest standards for open space in the entire region. Even after all of the major new development in the city is complete, Carlsbad will remain nearly 40% open space. The City of Carlsbad hosts a variety of special events year round for kids, families and active adults, including the very popular TGIF Concerts in the Parks each summer. The City also boasts a very active Community Services program, which includes a wide variety of low cost and free recreation classes for all ages, many of which take place in Carlsbad’s beautiful parks and libraries. In Carlsbad, you have easy access to a variety of shopping centers and restaurants. From unique boutiques in the Village area to just about every mainstream brand you can name. Between the Carlsbad Premium Outlets or The Forum, everything you are likely to need is nearby. The same is true for restaurants. No matter your tastes or budget, you have plenty of options, Italian, Gastro-Pubs, Breweries, Sushi, Mexican and more. You also have just as many options when it comes to atmosphere from cozy beachside bistros to resort-style lounges with breathtaking coastal views. What is it like to live in Carlsbad? Let’s just say you will find yourself outdoors more than you ever dreamed. Residents of Carlsbad definitely take full advantage of their surroundings and enjoy a very active lifestyle. Year round you will see people out walking, running, and cycling. In fact, Carlsbad is home to the Carlsbad Triathlon, the Carlsbad Marathon & Half Marathon and the Carlsbad5000. In addition, as home to The Crossings Golf Course, Omni La Costa Resort & Spa, the Park Hyatt Resort & Golf Club and the corporate headquarters of Callaway Golf and TaylorMade-adidas, you may want to practice your golf swing or break out your tennis racquet. But, it’s not all sports. In fact, one of the things we love about Carlsbad is that every day at sunset, people congregate at the coast and on their west-facing balconies to watch the sun drop across the horizon because when you are lucky enough to live in Carlsbad, you don’t take it for granted, you savor its beauty! Carlsbad offers a wide variety of housing options. Whether you’re looking for ocean views or golf course living (or even a combination of both! ), you will find it in Carlsbad. Older homes or new construction. It’s all within the city limits of Carlsbad. Let us show you around! We can help you narrow down your search and get you into the home of your dreams sooner than you think! 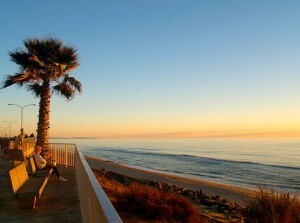 And you can be out enjoying the sunsets, beaches and resort-style living that Carlsbad has to offer. 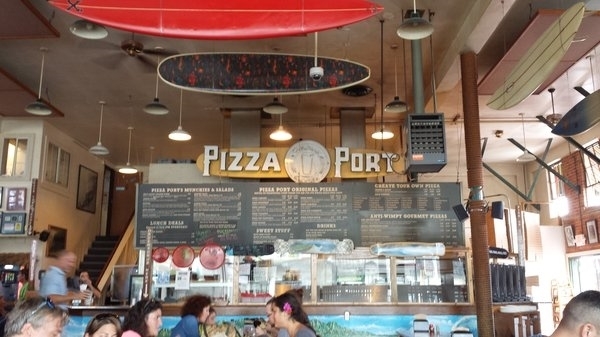 Pizza Port is a cherished Carlsbad favorite place to grab a pizza and enjoy craft beer with friends. 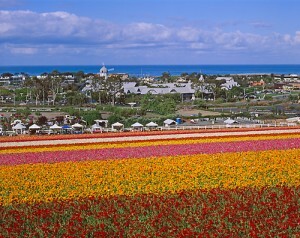 It’s also a great example of the diverse environment you will find in Carlsbad traveling from the beach inland. Its first location is just blocks from the beach in the heart of Carlsbad Village on the corner of Carlsbad Village Drive and Roosevelt Street. The beach village vibe makes it the perfect spot to gather with friends after a community event or a day on the beach. Pizza Port has been so popular that the company established its brand new corporate headquarters on the other side of Carlsbad, east of the I-5 near Bressi Ranch. It’s a 37,000 sq. ft. brewery and canning facility with a restaurant inside. Equally popular, this new location showcases a completely different neighborhood vibe in a new industrial area of Carlsbad off of Palomar Airport Rd. Stop in and visit both locations to experience the various tastes of Carlsbad. 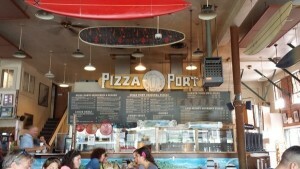 Pizza Port Carlsbad is located at 571 Carlsbad Village Dr., Carlsbad, CA 92008. Pizza Port Bressi Ranch is located at 2730 Gateway Rd., Carlsbad, CA 92009.